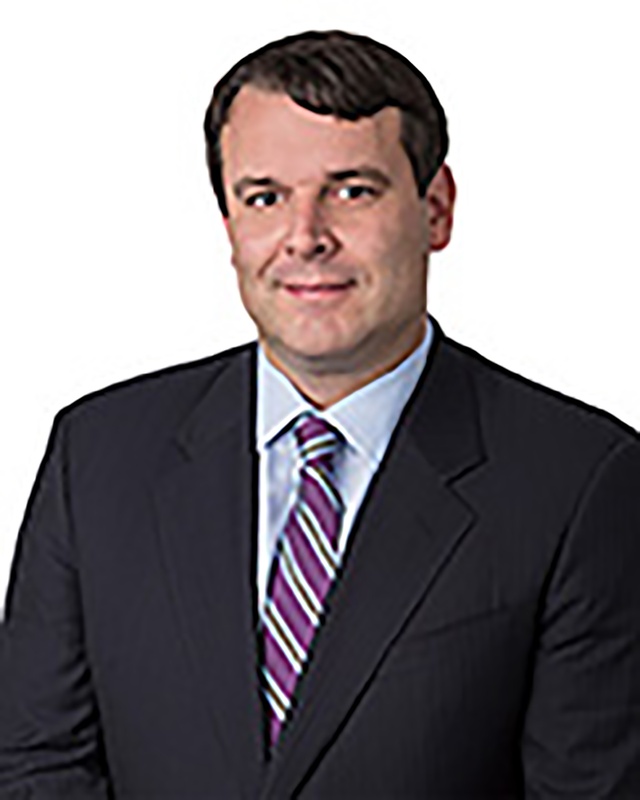 Thomas Southard is a Shareholder in Butzel Long's Washington D.C. office. As a member of Butzel Long’s Business and Commercial Litigation and Intellectual Property practice groups, Tom focuses on assisting U.S. and international clients, from startups to Fortune 500 companies, in protecting, enforcing and defending IP rights, including litigation and counseling. He has successfully litigated and tried, either as lead or co-counsel, patent, trademark, copyright and other commercial disputes in federal district courts throughout the United States, and matters brought before the U.S. International Trade Commission under Section 337 of the Tariff Act of 1930. Tom’s clients have included companies and individuals across a broad range of industries, including automotive manufacturers and parts suppliers, laminate flooring producers, pharmaceutical companies, computer chip manufacturers, medical device companies, specialty chemicals manufacturers, research institutions, health care organizations, nonprofits, beverage importers and distillers, consumer product and information technology companies, and publishers and entertainers. On the transactional side, Tom counsels on matters involving patent, trademark and copyright licenses, assignments and security agreements; invention assignment agreements; nondisclosure and noncompete agreements; IP audits; asset purchase agreements; domain name transfers; conveyances of IP in bankruptcy; and joint venture agreements. With respect to brand protection, he has developed comprehensive trademark enforcement programs, managed worldwide trademark portfolios, counseled on customs and import issues, and created and helped implement IP guidelines and policies for various types of entities. Tom has published articles and presented on issues concerning U.S. patent reform; patent trolls in the banking industry; willful patent infringement; the Domestic Industry requirement in Section 337 investigations; trademark infringement, including in social media; and amendments to the Federal Rules of Civil Procedure and recovery of attorney’s fees in federal civil cases. Tabibian v. Esfahani, et al. (D. Md. 2016): Lead counsel for plaintiff Payam “Peter” Tabibian against his former business partners in a dispute over ownership of the Z-Burger restaurant chain and associated intellectual property. Successfully obtained preliminary injunction ruling resulting in favorable settlement confirming Mr. Tabibian’s sole ownership of the Z-Burger business and all intellectual property, including trademarks and copyrights. Imagine Baby, LLC v. Planet Wise, Inc. (D. Md. 2014): Lead counsel for plaintiff Imagine Baby, LLC in a dispute concerning use of the Imagine Baby trademark for baby clothing and accessories. Obtained dismissal of all claims before the close of fact discovery. Bluebonnet Telecommunications, LLC v. Sonim Technologies, Inc. (E.D. Tex. 2014): Lead counsel for defendant Sonim Technologies in a patent case involving smartphone features. Succeeded in having all claims dismissed. Atlantis Holding Company, et al. v. Pine Environmental Services, Inc. (D. Md. 2012): Lead counsel for plaintiff Atlantis Holding Company in patent and trademark infringement dispute over unauthorized use of Proactive Environmental Products submersible groundwater pumping device. Obtained settlement following briefing of claim construction issues. Lab Partners Associates, Inc. v. Phottix (HK), Ltd. and Eternal Fortune (HK), Ltd., Case No. 5:11cv5 (D. Vt.): Lead counsel representing defendants accused of infringing patents relating to wireless flash camera synchronizer systems and methods. Dynamis, Inc. v. Dynamis.com, __ F. Supp. 2d __, 2011 WL 1659570 (E.D. Va. 2011): Represented U.S. trademark holder in appeal of adverse UDRP proceeding. Rosetta Stone LTD v. Google, Inc., Appeal No. 102007 (4th Cir. 2010): Drafted and submitted amicus curiae brief on behalf of Volunteers of America, Inc. in support of plaintiff Rosetta Stone in trademark infringement matter involving Google’s sale of trademarked keywords. Planet Technologies, Inc. v. Planit Technology Group, LLC et al, Case No. AW10149 (D. Md. ): Lead counsel representing trademark owner in federal court action to enforce registered and common law trademarks against accused infringer. Faus Group, Inc. v. Berry Floor N.V. (N.D. Ga. 2008): Counsel for Spanish flooring manufacturer in breach of contract and patent dispute. Aqua Aerobic, Inc. v. Wastewater Technologies, Inc. (E.D. Pa. 2005): Negotiated settlement on behalf of client accused of infringing patented water filtration device. E-Z Bowz v. Professional Products Research Corporation (S.D.N.Y. 2005): Represented defendant accused of infringing patent covering bow-making apparatus. Pergo, Inc. et al. v. Faus, Inc. (E.D.N.C 2005): Represented patentee Pergo in infringement suit to enforce multiple patents covering laminate flooring molding technology. Pergo, Inc. et al. v. Neuhofer Holz (M.D.N.C. 2005): Represented patentee Pergo in infringement suit to enforce multiple patents covering laminate flooring molding technology. Mitutoyo Corp. v. Central Purchasing, Inc. (N.D. Ill. 2004): Represented plaintiff patentee in suit to enforce patent covering electronic digital calipers. IP Innovation v. Brother Indus., et al. (N.D. Ill. 2003): Represented defendant in patent infringement litigation involving enhanced printer imaging technology, and negotiated successful settlement on behalf of client. Mitutoyo v. Chicago Brand Industrial, Inc. (N.D. Cal. 2003): Initiated contempt proceeding on behalf of Mitutoyo to enforce settlement agreement covering sale of patented electronic digital calipers. Guilin Guanglu Measuring Instr. v. Mitutoyo Corporation (D.D.C 2002): Represented defendant Mitutoyo in declaratory judgment action regarding validity of patent covering electronic digital calipers. Trovan, Ltd. v. Sokymat et al. (Fed. Cir. 2002): Represented patentee in appeal of district court decision involving inventorship of miniature transponder devices. ATI v. Toyota Motor Corp., et al. (E.D. Mich. 2001): Served as client representative to joint defense group in patent infringement litigation involving side airbag impact sensors. Fulhorst v. Toyota Motor Corp. (E.D. Tex. 2001): Represented defendant Toyota Motor Corporation in case regarding alleged infringement of panic alarm system. In re Certain Laminated Cardboard Products (U.S. Int’l Trade Comm’n 2013): Lead counsel for respondent Freixenet USA, Inc. in a Section 337 patent infringement action. Obtained a favorable ruling under the ITC’s pilot program for early determination. Nikon v. ASML (U.S. Int’l Trade Comm. 2002): Represented complainant Nikon in infringement proceedings concerning the importation of microlithographic machines and components thereof. The Catholic University of America Columbus School of Law 2000, J.D. North America's Next "Budding" Industry?